Now that you’re sure you’re not Elvis. My mother, husband, and I stood around the crib like Sleeping Beauty’s fairy godmothers, imagining the life that awaited our new daughter. “Josie will be an opera singer at the Met, or a dancer with the ABT,” my mother proclaimed. “Or a gold medal figure skater.” She was gifting Josie with the possible futures she herself held most dear; she could wish for nothing less for her first grandchild. Josie had done nothing so far but get born, but our hopes for our children–and our hopes for ourselves when we are young–are Macys parade balloons. Big and gaudy they strain at their ropes, they bump into light poles. Ray’s gift was permission to be ordinary, his way of saying, no matter what you become it will be okay. My mother was saying, at this moment anything is possible. Why not dream big? No one can predict who will grow up to be Elvis, Einstein, Hemingway (one of the single name people). When life is ascending it seems as if any one of us might be the next. Since we live in a culture that prizes the unquantifiable something that made Elvis Elvis nearly all of us hope that lightening will strike us or our children, that someone we love will go nova. We don’t honor the glint that is in each of us, the song worth singing, the good idea. Maybe it is these small glints taken all together that are the true wealth of humanity. Our riches are jointly held. My mother’s dreams for me were the same as the dreams she expressed for my daughter. It was Carnegie Hall and Metropolitan Museum of Art all the way. And her dreams came true! I have spent my whole life doing the kinds of work that produced Picasso, Hemingway, Elvis, but unlike them I have worked the carnival circuit of the arts, driven the back roads in a dented VW camper. I have run a small art gallery in the Florida Keys where I sold my paintings but made far more money on hand-painted clothing, I’ve written several books for young readers, and made music everywhere from a spot beside a dunk tank to the Monticello Opera House. And I have been happy. But how? I’ve never been the most famous or the best. Take music. In bumping around, singing anywhere that doesn’t have a sign expressly forbidding it, I’ve discovered that every third person is a dynamite musician (there is plenty of competition for that spot beside the dunk tank). If I compared myself to even the most local talent I would shut my mouth. It isn’t hard to find someone with a bigger voice, the ability to hit higher notes, someone who is much younger, aspirations still on the rise. Luckily, I consider making music a venture we undertake together. I appreciate your song, you appreciate mine. This is an addition problem. 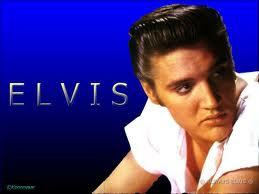 The sum of all our talents exceeds the value of one Elvis. 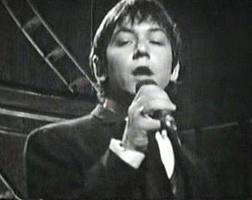 At the library I found a CD recorded by Eric Burdon. Never Elvis, still he was a star in his day, the lead singer of The Animals. Forty years later his voice is less pitch-secure but wiser. It still has the bite and grit that made “House of the Rising Sun” a hit in 1964 and compelled me to picked up a guitar and sing in the first place. The recent album probably sold modestly, but the hit potential of continuing to record was not the main thing. 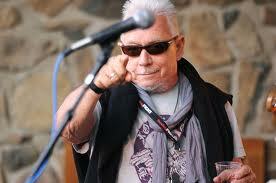 Whether popular or overlooked, Eric Burdon is a singer. Thankfully, the job of being Elvis falls to a scant few. Fat Elvis. Thin Elvis. But was there a happy Elvis? The job of being larger than life messes with the possibility of a livable life. Most of us are better suited to being ordinary. Whether we perform to applause or indifference—even eye rolling if we have kids—what is most important to discover is who we are and to be that thing to the best of our ability, whether it is Elvis or a Senior Clerk Typist. Note: Josie now has a PhD, she’s published her first novel and she is the mother of a boy who will probably invent cold fusion or discover sentient life elsewhere in the universe (why not dream big?). § 7 Responses to Now that you’re sure you’re not Elvis. What a great blog, Adrian. What wonderful wisdom. Thanks. Richard D.
I recognize those dreams from mom. I think I came the closest of us three to her Olympian dreams when I was on the crew team in college. I was never Olympic material, I just was having a good time in a competitive sport. As to the whole “dream big” versus “ordinary”, I’d hate to saddle a child with nothing ambitious. That you’re not Placido Domingo is no big disappointment, but when the expectations are no higher than someone who hangs on the corner, the mark is too easy to hit and lots of potential falls to the wayside. I needed to hear that. Thanks! Being the best you can be, to your satisfaction is key…. Good stuff. You should read what William Faulkner said when he picked up his Nobel prize. He was talking about literature but it could have been music. Its a river. Some move the current faster than others but all move it. And in some families, for some babies it’s enough that they live to become children & then that the children live to become adults. I love your use of the term carnival. “Life is a carnival” is a song from The Band & it fits, it fits. Thanks for this post Adrian. “Most of us are better suited to being ordinary” which is quite extraordinary in itself as your post shows us. Lovely, lovely post, Adrian; I’ll hold this one close for a long time. You are currently reading Now that you’re sure you’re not Elvis. at Slow Dance Journal Blog.